If you’re afraid of spiders then look away now! 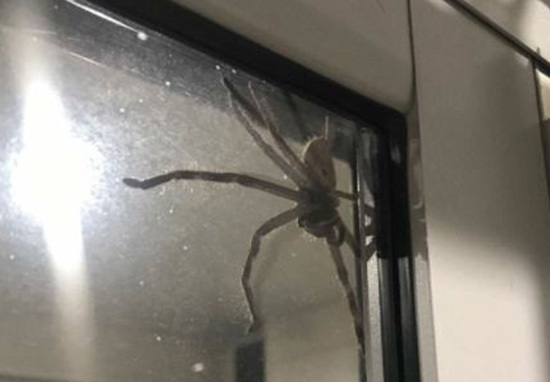 One couple were in for a fright when they discovered a humongous spider perched on their kitchen door as they tried to cook dinner. 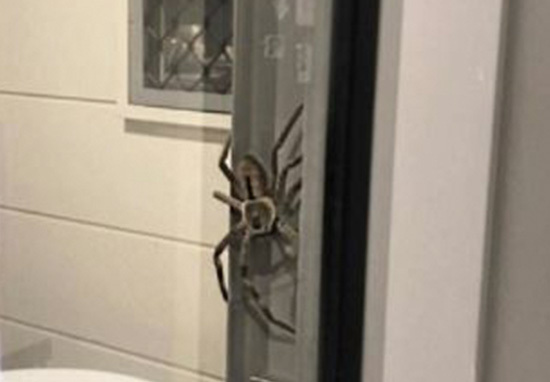 Lauren Ansell, from Queensland, posted a picture of the enormous arachnid on her social media and appropriately named the creature ‘Aragog’ – Harry Potter fans will know the connection! 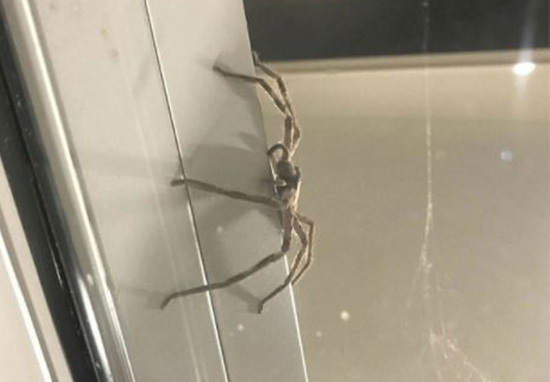 Although the spider appeared harmless – and was on the outside of the glass door – the little beast did not take too kindly when Lauren and her partner tried to move it. My partner was on the outside trying to cook our food. We didn’t want to kill it but it didn’t like us for trying to move it along. It’s still alive and happy – I nicknamed it ‘Aragog’. Lauren revealed the picture caused a bit of a commotion among her friends when she posted it on her Facebook – they couldn’t believe what she’d captured. It’s in the garden and we haven’t seen it since. It’s massive and was mean, but it’s alive and we didn’t want to kill it. ‘Aragog’ is thought to be a huntsman spider and although in general they are not regarded as deadly, their bites can be very nasty! A sports enthusiast with a BA (Hons) in Sports Journalism, who can be found predominantly at Villa Park. Having completed a Masters in Broadcast Journalism, she then went on to work at Sky Sports, the BBC, and the Mirror. When not engrossed in sport, it's animals, guitars, and Liam Gallagher which take main focus.